Zsolt Szabo joined the School of Music faculty at Western Carolina University in the fall of 2014 as the Assistant Professor of Trombone and Euphonium. In addition to his teaching duties, Mr. Szabo is a member of the Smoky Mountain Brass Quintet, the resident faculty brass quintet at WCU. Active as a solo, chamber and orchestral musician, Zsolt performs with a wide variety of ensembles. Since 2014, he has been the Principal Trombone of the Brevard Philharmonic Orchestra and previously the Principal Trombone of the Ars Viva Symphony Orchestra in Chicago. Between 2009-2011, Zsolt was a member of the Civic Orchestra of Chicago where he worked with conductors such as Riccardo Muti, Pierre Boulez, David Robertson, Xian Zhan, Esa-Pekka Salonen, Jaap van Zweden, Erik Nielsen, Markus Stenz, Larry Rachleff, and Cliff Colnot. In 2010, Zsolt toured with Pierre Boulez and the Chicago Symphony Orchestra, performing in Carnegie Hall and has been a substitute for the orchestra on other occasions as well. Zsolt has performed with the Knoxville Symphony Orchestra, Greenville Symphony Orchestra, Asheville Symphony Orchestra, Illinois Philharmonic Orchestra, Illinois Symphony Orchestra, OSUANL Monterrey (Mexico), Peoria Symphony Orchestra, Lake Forest Symphony Orchestra, Orchestra Iowa and many others. 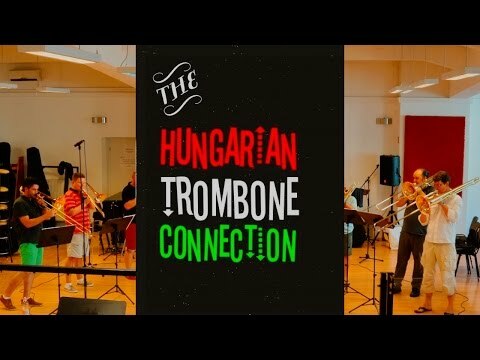 Mr. Szabo is a founding member of the American Trombone Quartet and a member of the newly established Hungarian Trombone Connection. Prior to joining the faculty at WCU, Mr. Szabo received the prestigious Iowa Performance Fellowship Award at The University of Iowa School of Music where he was a Teaching Assistant while completing his Doctor of Musical Arts degree in Trombone Performance and Pedagogy. In the spring semester of 2012, Mr. Szabo was a Trombone Lecturer at Western Illinois University. He has also been a guest lecturer at Illinois State University, Illinois Wesleyan University, Eastern Illinois University, and The Liszt Ferenc Music Academy in Budapest, Hungary where he presented master classes and performed recitals.